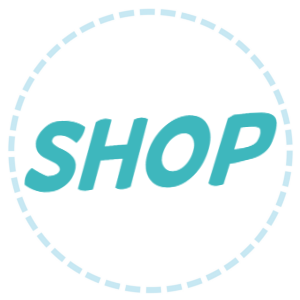 Let me show you a simple (and free!) 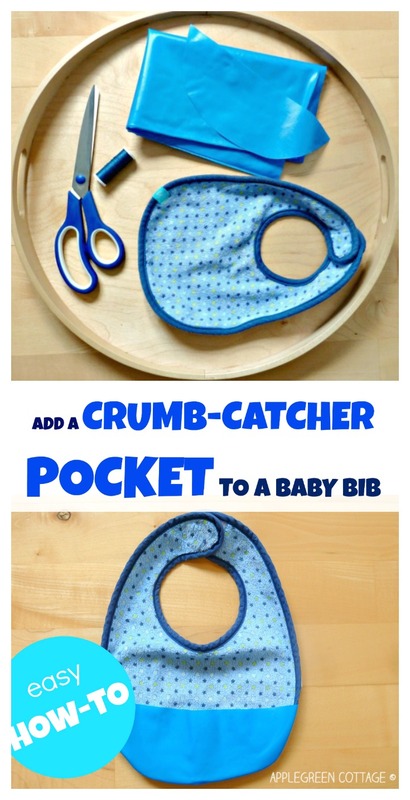 DIY solution you can easily use to transform a regular bib into a much more useful one: a crumb-catcher pocket bib, by simply adding a pocket to any regular bib - all by yourself. It will just take minutes - and it actually catches crumbs, because it stays open. How? Take a look! If you have kids, you probably have tons of regular bibs at home. Tha's good. 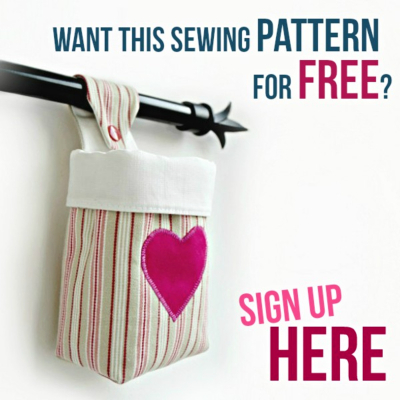 But did you know you can quickly make them even MORE USEFUL - by adding simple pockets to them? Bibs with fold-up pockets are wonderful, as they easily catch whatever would otherwise land under the table. Less clean-up work! 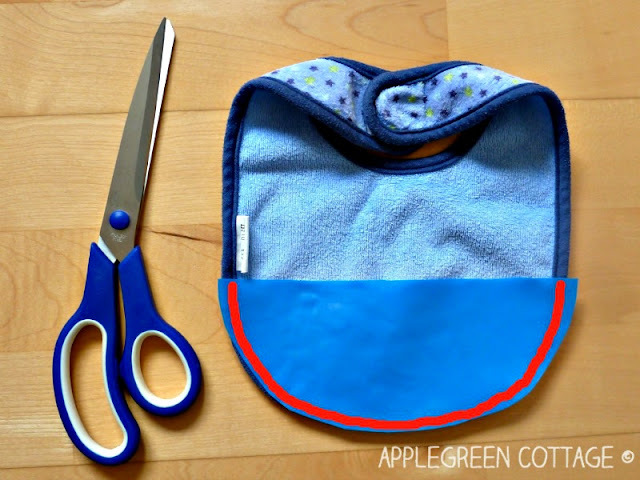 After two years of a heavy duty job, our toddler's favorite bib with a fold-up pocket gave in. So I came up with this simple DIY solution. (Have I mentioned that I just love simple, zero-cost DIYs?). 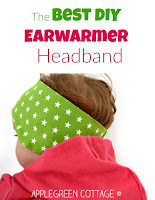 It may come in handy to other mums, so I'm really happy to share how I did it. I used one of the Lässig brand bibs which have both sides in cotton and a waterproof layer in between. 1) Cut out a D-shaped piece from the oilcloth, using the bottom part of the existing bib as a guideline. 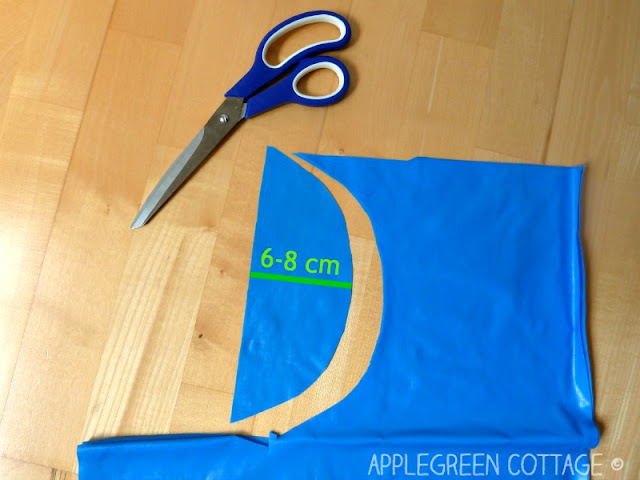 The curved line of the oilcloth piece should be the same as the curved line of the bib. 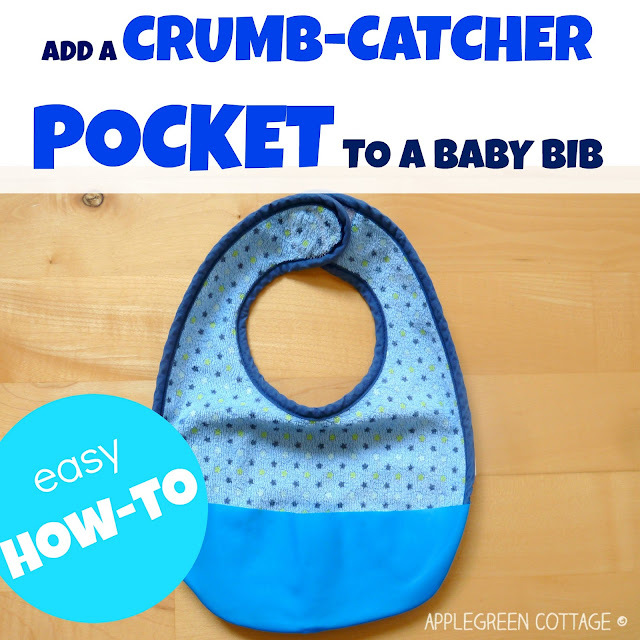 This makes the simplest crumb catcher bib pattern I've ever seen. 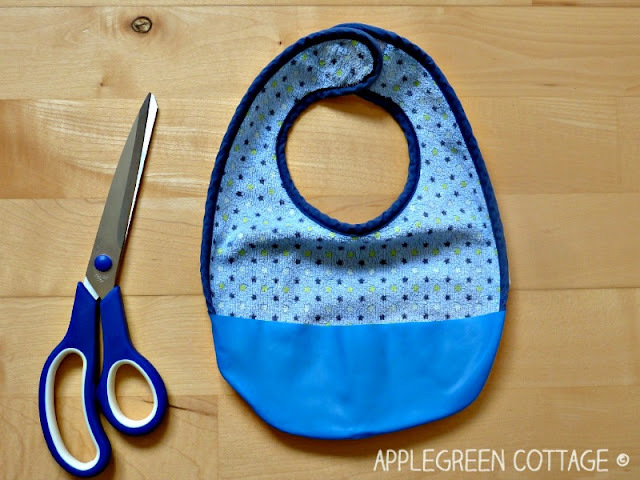 2) Place the bib on the table, right side facing down. Then put the oilcloth piece on it, also right side facing down (meaning that the right sides will NOT be facing each other). Then sew along the red line and secure the stitches on each side. 3) Now turn the crumb-catcher pocket to the other side. You will notice that the pocket will stay open all the time (acting as a crumb catcher), as it is attached to the bib on its back side. That's what you want, right? DONE. 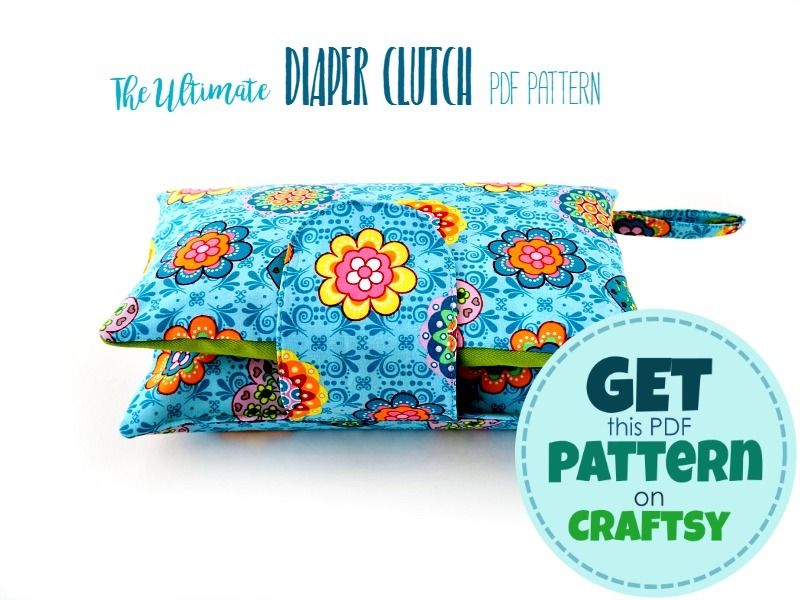 If you want even a sturdier crumb-catching pocket, you may add bias tape to the top (straight-line) part of the D-shaped oilcloth piece - before you sew the bib and the oilcloth together. I did not, but will certainly use this option next time. 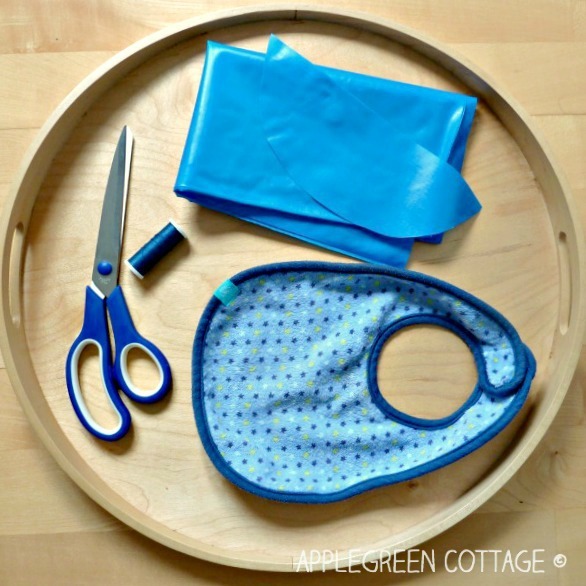 This tutorial should shorten your clean-up time after your toddler, or baby has had a feast at the dinner table. Try it out, it will only take you several minutes. Easy, quick - and low cost! 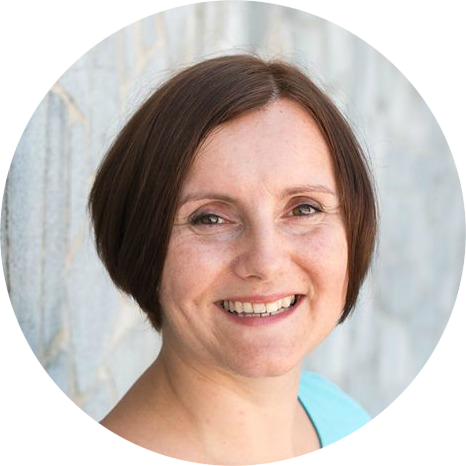 Crumb catchers are such a great idea, Damjana.